What Is a Bridge and How Do I Know If It Will Benefit Me? 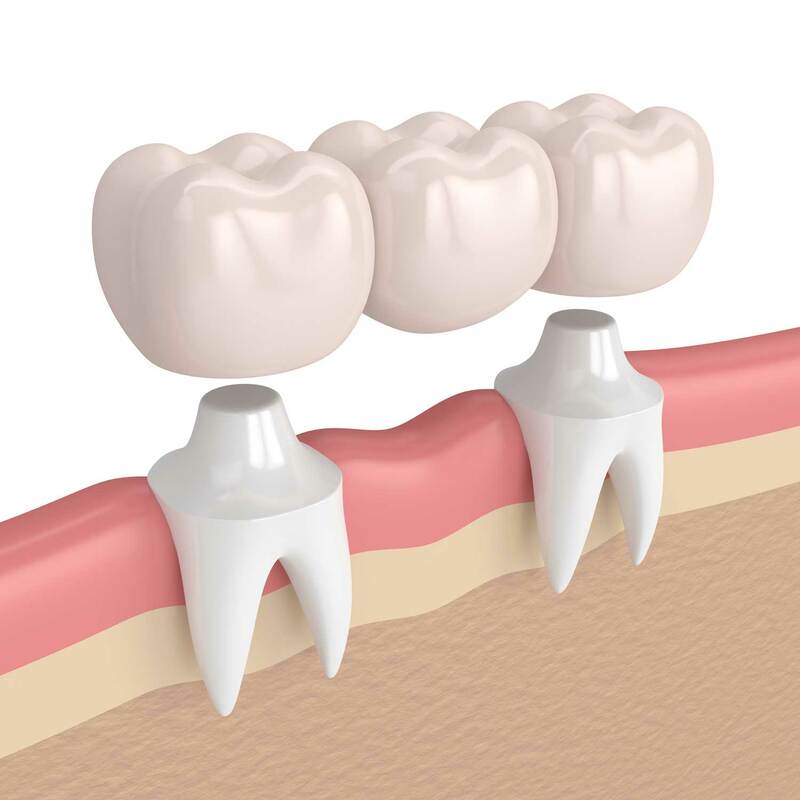 If you are missing one or more of your teeth and are searching for a comfortable and effective restorative solution, you may want to consider dental bridges. You will love how natural they look and feel, and will smile with confidence once again! Dental bridges are often referred to as fixed partial dentures. They work to literally “bridge” gaps left between teeth due to missing teeth. Dental bridges can only be removed by a dentist but are somewhat permanent, comfortable and proven to make teeth strong. Your restorations are natural-looking artificial teeth that will leave you with a beautiful, confident smile! Will You Benefit from a Dental Bridge? Missing teeth are no joking matter and can cause many problems. Losing a tooth usually results in neighboring teeth shifting from their place into the gap. That may affect your bite and place stress on your teeth and jaw, potentially leading to a very painful condition called temporomandibular joint disorder (TMD). When teeth drift, they may become crooked and misaligned, making it harder to clean them and resulting in gum disease and tooth decay. If you are missing teeth, having trouble chewing or speaking, or experiencing strain when biting, dental bridges may offer an ideal option to help restore your oral health and natural smile. They maintain the facial structure, preventing sagging and restoring a youthful appearance. A dental bridge is an excellent restorative dentistry choice for patients without sufficient bone density in the jaw for dental implants to work. Caring for Your Dental Bridge? Care for your dental bridge just as you would for your natural teeth. Brush and floss regularly, and use an antibacterial mouthwash to keep your mouth fresh and clean. Make sure to schedule your dental checkups and cleanings twice a year to allow us to diagnose and treat any conditions in their early stages. With proper care, your dental bridge can last for many years! Contact us at Avalon Dental Care to learn more about dental bridges and all our restorative dentistry procedures. We will work with you to determine the best treatment option for you. We strive to provide you with quality care at our state-of-the-art facility. Call today to get on track to restoring your natural-looking, healthy smile!